The Vaporesso SWAG 80W Starter Kit with NRG SE Tank adopt innovative IML technology, which is powered by single high-rate 18650 battery and the maximum output can be reached to 80W to bring you great vaping experience. With upgradable OMNI 2.0 chip, Vaporesso SWAG features 2A fast charging. SWAG Kit is paired with the NRG SE Tank, supporting 2ml and 3.5ml e-juice capacity for option, with twist Open design and CCELL coils to provide awesome flavors. NRG SE Tank features adjustable bottom air flow. 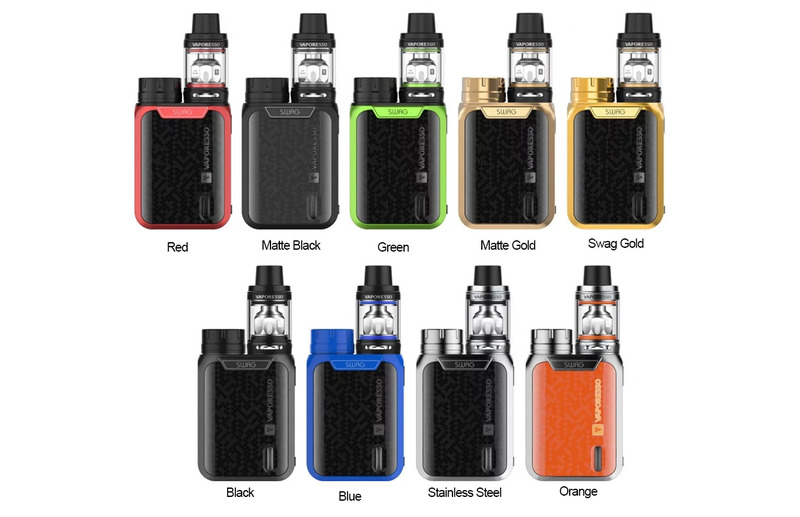 Geekvape Aegis Solo Kit consists of a Aegis Solo Mod and a Cerberus Tank. Powered by a high-amp 18650 battery and the latest AS Chipset, the mod is capable of 100W maximum power output with 10ms quick firing speed and various working modes.